Goals: Bodybuilding, Boost energy, Enhance performance, Enhance recovery, Improve sport performance, Improve workout, Increase muscle mass, Maximize endurance. When competing, the difference between winning and losing is often very small. Beyond training, practice, focus and discipline, your body’s health will determine how you perform in the moment. Is your body ready for the performance of its life? Because we know high performance matters to you, ATP created Pentacarb, a natural health product specifically designed to maximize your endurance, optimize your recovery time and increase your personal power. Pentacarb uses 5 glucide forms for the rapid absorption and fast and complete synthesis of muscular glyocene. 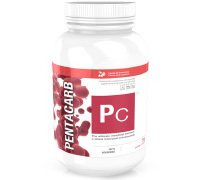 Pentacarb’s unique formula uses glucides at molecular weight and different osmotic concentration in a unique combination with electrolytes and minerals to keep muscles perfectly hydrated and energized for intense training and performances. Dosage: 1 serving of 55 g during and/or after workout. Directions: Add 16 oz. (2 cups or 500 ml) of cold water to your shaker per serving (55 g) of Pentacarb, seal your shaker and shake immediately. Warnings: Consult a health care practitioner prior to use if you are obese or have cardiovascular disease (CVD) risk factors (high blood pressure, high cholesterol and/or triglycerides), if you are pregnant or breastfeeding, or if your goal is to achieve weight loss. 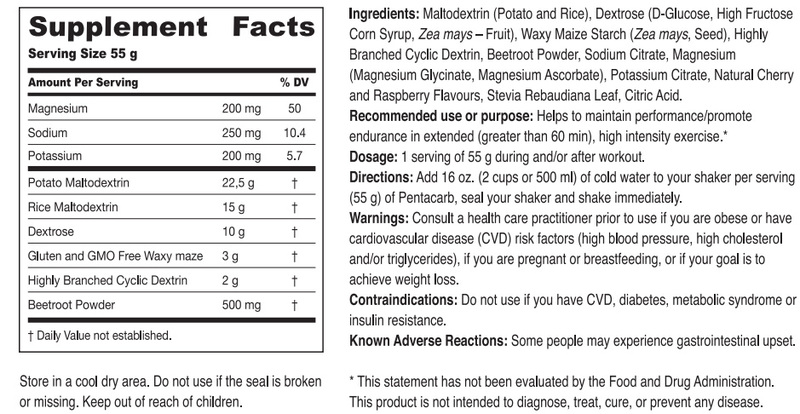 Contraindications: Do not use if you have CVD, diabetes, metabolic syndrome or insulin resistance. Known Adverse Reactions: Some people may experience gastrointestinal upset.